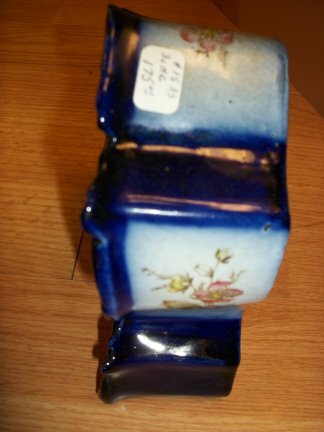 This is a Gilbert miniature 30 hour china clock. 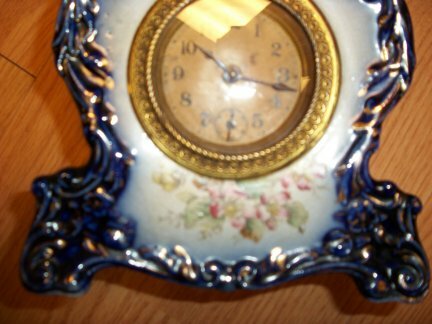 It has a 30 hour balance wheel movement. 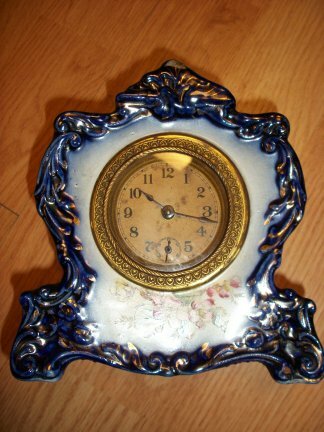 This a cobalt blue color and is beautiful, The painted flowers really compliment the case. 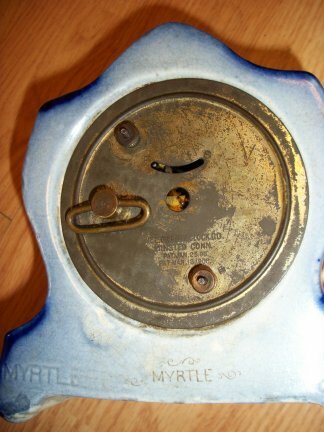 Rear view of the clock, it is called "Myrtle"